The earliest-known sit-in for civil rights occurred at the Alexandria (Virginia) Public Library on August 21, 1939. 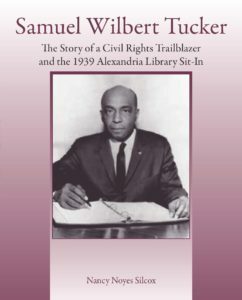 Samuel Wilbert Tucker, a young African American lawyer, grew up in Alexandria in a family that believed reading and education led to opportunities. When Tucker was refused a library card at his local public library, he organized a sit-in to protest the “whites-only” policy and defended the protesters. Tucker graduated from Howard University, passed the Virginia Bar exam without going to law school, and went on to fight for justice and public school desegregation through Virginia courts and the U.S. Supreme Court. When asked his advice for young people he said, “We need to keep what progress we’ve made and keep fighting to get more. We’ve got to keep our story told.” The story of the sit-in and Tucker’s work to challenge segregation shows how ordinary people can see what is wrong and work to make it right. Tell me exactly what you want me to write.